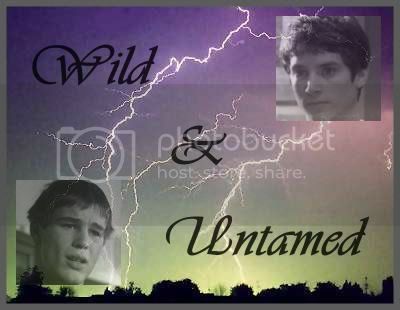 I haven't posted more "Wild & Untamed" during Christmas vacation, because some of you are not around for a few days and because I knew there would be the Christmas Stocking by aliensouldream , enough to read for everyone. But now I wanted to end the year with a last part of it (don't worry: the last part for this year, of course). Here we go, just read and have fun! Zeke grinned, when the door to the hut was opened slowly. Then silence. He could see him standing beside the door, not knowing what to do next. Geez! He knew, he should say something cool now. It was evident that he was followed Zeke to this hut. It was evident that Zeke wanted him to follow. Right? Or did he got this wrong? Had it been just his wishful thinking? Casey took a deep breath. If he didn't want to look like the complete idiot he felt in this moment, he had to say at least something. Maybe the truth would be best. Casey swallowed and kept quiet. Zeke grinned. Casey sighed. He knew, Zeke wouldn't let him go now before he knew the whole story. He kept quiet and tried to avoid Zeke's eyes. This sounded all to pathetic. Zeke rolled his eyes when Casey shook his head. “Geez! You better never try to play with the bad boys, baby blue!" Casey stared at him stunned. What was Zeke implying there? He remembered the kiss last time. It hadn’t last much longer then a few seconds. But what if it hadn't been just a stupid joke? If Zeke really liked to kiss him? Kiss! Him! Casey forced himself to stop. This was ridicolous. Zeke was not into guys! “You like girls,” he murmured. “And you, Casey,“ Zeke whispered and bent forward.